Locksmith Dublin based services are vital for homeowners, commercial businesses and drivers alike. Whether you have lost your car keys, locked yourself out of your property or car, or require other security support, a locksmith can help. However, it is important to know exactly what services a locksmith can offer and to ensure that they are suitably qualified and experienced before you hire any particular company. Here we consider the factors that are important in finding the right Dublin locksmith company and delve into the different services, including emergency and mobile cover, which the best locksmiths offer. When you think of locksmiths, locking yourself out of your home is probably the first thing that comes to mind. However, they are also a vital service for those that find themselves locked out of their vehicle. Whether you have locked your keys in the vehicle, dropped them down a drain, or broken your key, the best locksmith Dublin based company is one that can find the right solution for you and do so quickly. Locksmiths who offer vehicle services should be able to provide replacement car keys, autokeys and unlock vehicle doors with no difficulty. They should also be able to deal with broken keys, even when part of the key is lodged within the lock. The car locksmith Dublin based company you choose should be able to deal with such incidents without causing damage to the vehicle. Many new cars do not need a key to unlock the door physically, but rather are unlocked remotely using a button on the key fob. The right Dublin mobile locksmith for the job will have the knowledge and expertise to deal with this situation and any other keyless entry system. Furthermore, they should be able to provide new ignition keys, transponder chip keys, replacement car keys and duplicate keys for high-security vehicles. When choosing from the plethora of locksmiths available, ensure that the company you are considering is vetted by the Garda and has insurance cover for the work they complete. They should also provide you with a quote for the work they need to undertake and have a clear pricing policy so that you know exactly what you are paying for. When Might You Need An Emergency Locksmith Dublin? It is much easier to get locked out of your home than most people realise. It could simply be that you go to take your bins out and the door slams behind you. Similarly, you could be unloading shopping from the car or lose your keys on your way home from work. In any of these situations, the many concern is getting back into your home quickly and ensuring no one else can gain access. If your keys are inside the home, then you at least have one less worry. In these and many other situations, a good emergency locksmith Dublin wide is vital. And, aside from experience and trustworthiness, your key need is a locksmith that can respond quickly and deal with the problem effectively. While getting locked out of your property may be the main reason for calling an emergency locksmith there are other occasions when a locksmith that can respond around the clock is vital. One such occurrence is after a burglary. If someone has gained access to your property unlawfully, then you need to get your locks changed to ensure the security of the property and your personal safety. Finding a 24 hour locksmith Dublin wide that can provide an immediate, if temporary solution, is vital. Many companies take advantage of such situations, increasing fees and adding call out charges. But, the best locksmith companies do not do this. So, when phoning companies ensure that you ask about their charges and shortlist those that have clear pricing policies, no hidden fees, and which do not charge a call out fee. Not all locksmith Dublin wide companies are set up to deal with the complexities and needs of commercial properties and their security. Commercial properties often have many more points of entry than a residential setting, they also have different security needs, with different individuals requiring access to different areas and at different times. Ensuring the safety and security of commercial premises requires a locksmith that understands these differences and can adapt to suit the needs of the specific company and property. This means that the locksmith needs to have experience of different types of locking mechanisms including secure locks, key card locks, and the many varieties of keypad locks that are used in commercial settings. They must be readily available and able to respond quickly when called to premises. If staff are unable to enter the premises, then your company is losing money through lost work time. Alternatively, if locks are compromised through break-ins, then you risk losing money through lost stock or stolen information. As well as the immediate problems this can cause, it can also damage your reputation in the long term. This is one reason why you need a locksmith Malahide or beyond that understands the needs of businesses and can work professionally and efficiently to reduce the potential fallout of any issues you have faced. 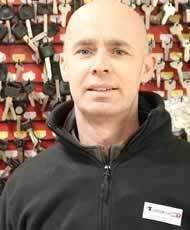 Ensure that any locksmith Dublin Ireland that you approach is vetted by the Garda, is fully insured, and has a good reputation amongst commercial property owners. Locksmiths Dublin 24/7 Ltd – Local Locksmith is a fully insured ISO9001 accredited locksmith company based in Dublin. We offer many locksmith Dublin based services to home, commercial, and car owners. We are in business over 20 years with over 70 years’ experience within the locksmith industry. Our mobile locksmith vans can be dispatched to within 15 minutes of your call. Our response time is second to none. We understand what the word emergency stands for. Locked out? Can’t access your Home, Commercial property or Vehicle? Don’t panic and give us a Call Free: 1800 47 47 47 or Get a Free Quote. Unlike our competitors we don’t use agents or other locksmith businesses. We only use Locksmith employees that work for us Locksmiths 24/7 and we are 100% Guaranteed on all our work. Our Locksmiths Dublin branch can be dispatched to your location within 15 minutes of your call. We pride ourselves on providing excellent locksmith services throughout Dublin and strive to continue to get better.